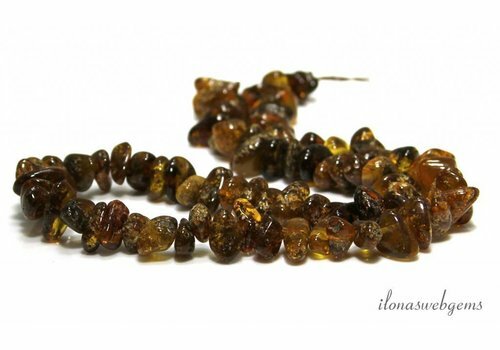 What makes the amber beads or amber beads into a special gemstone bead? Amber (also called amber but that is factually incorrect.) 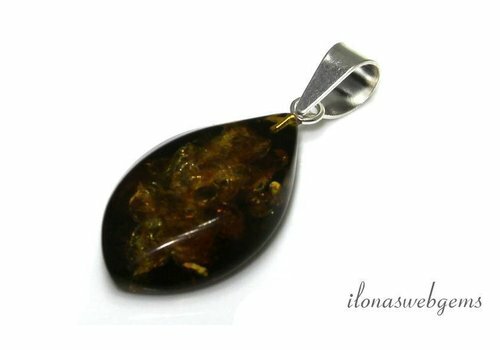 In English it is indeed 'Amber' and in Dutch amber is actually a color name.This confusion can also be seen in the stone 'Turquoise' and the color turquoise. substance from the intestines of the sperm whale is also called amber, which smells strongly and is used in perfumes). 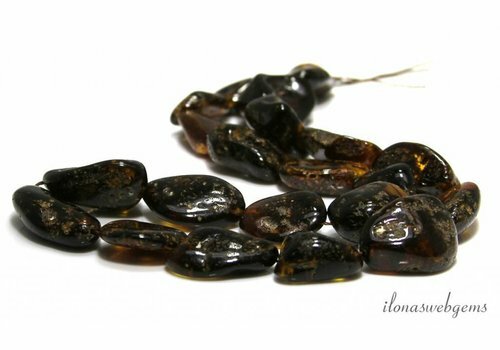 The word amber - in German Bernstein - comes from the Low Saxon word börnen meaning burning. This gemstone is indeed combustible. 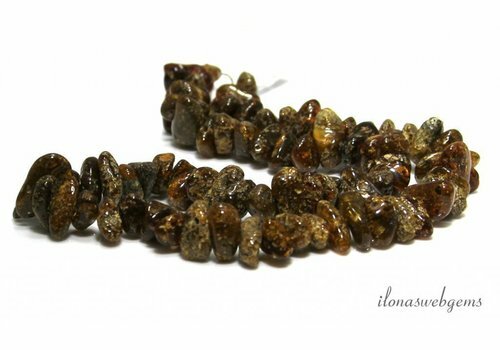 Amber is a fossil resin that comes from coniferous trees. These trees, the Pinus succinifera, is still a living pine species. 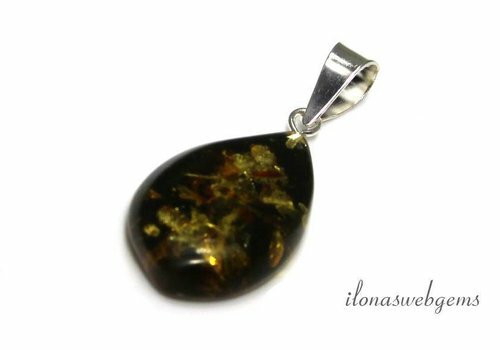 The resin was dripped from the trees millions of years ago and then fossilized, sometimes with the air bubbles and / or bugs still in it. The fact that many insects are found in amber also did not escape the Romans. They explained this (correctly!) By assuming that Amber was liquid when it covered the insects. 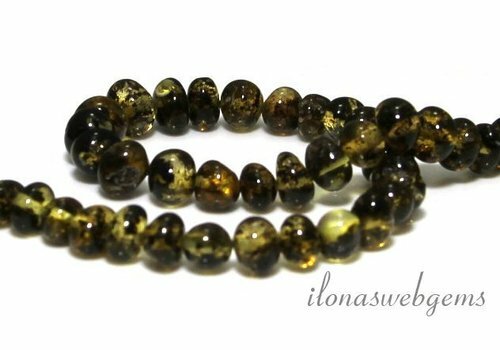 Amber beads: what effect do they have? 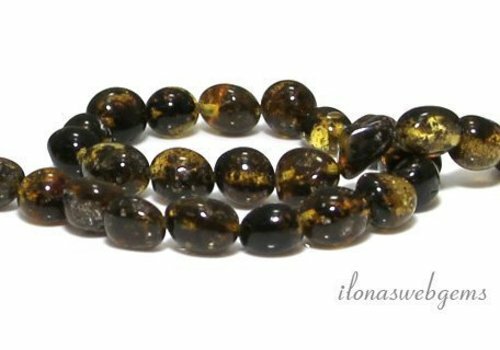 Amber is a powerful, cleansing stone that converts negative energy and pain into positive energy and thereby brings balance and makes it stable and cheerful. 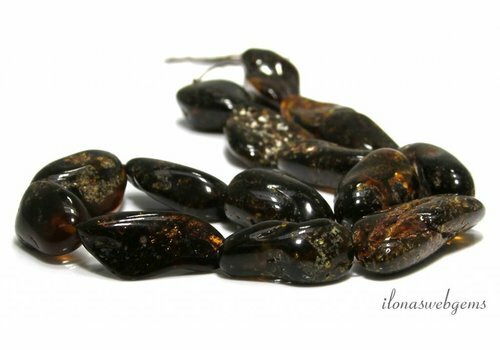 Amber promotes a flexible, open, spontaneous and carefree attitude and strengthens confidence in yourself. 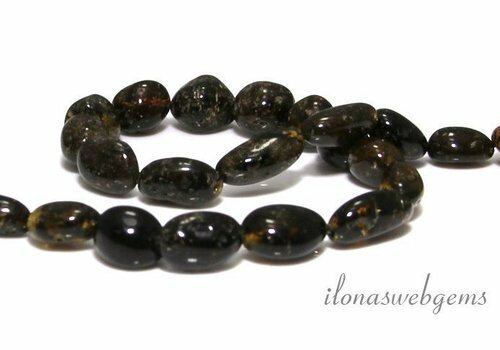 As a result, the stone reduces dejection, stress, depression and suicidality. Physically Amber can help with complaints of the stomach, intestines, spleen, kidneys, throat and gallbladder. It reduces joint complaints, strengthens the mucous membranes and stimulates the healing of wounds. It relieves pain when passing teeth and choosing children. Amber has a positive effect on Lyme disease (which can be contracted by a tick bite). 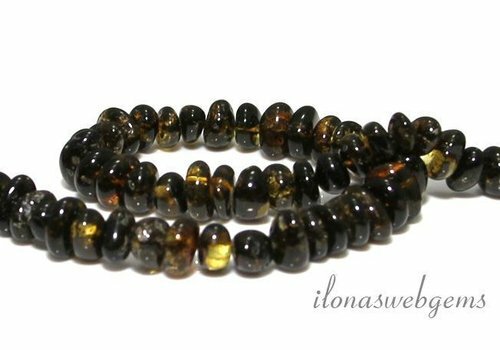 Getting started with your amber beads tomorrow? Are you just a little impatient like me! 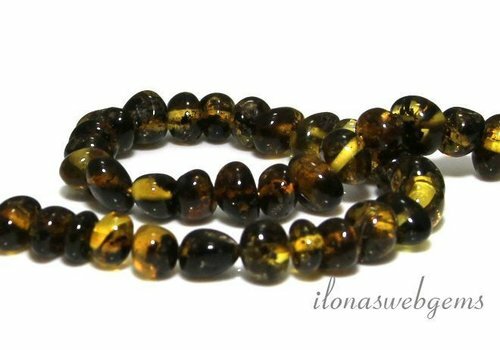 And you can not wait to get started with these beautiful amber beads or amber beads. 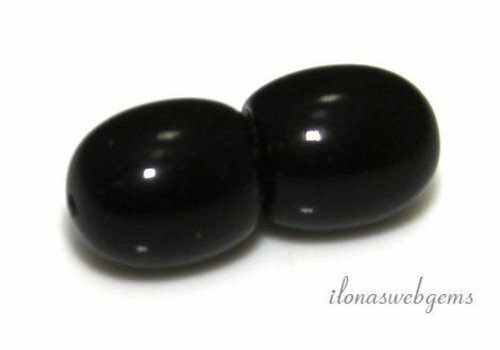 Do not wait any longer and order this beautiful gemstone bead for five hours. 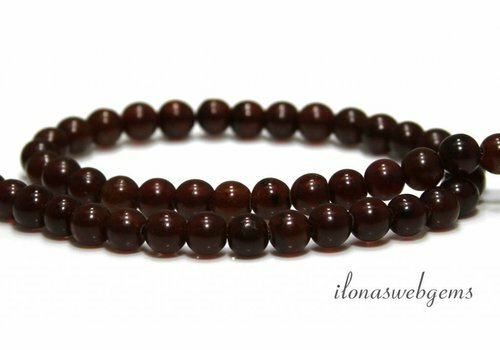 In any case, we will immediately start working on your package with the Amber beads. And if the mail also delivered on time. 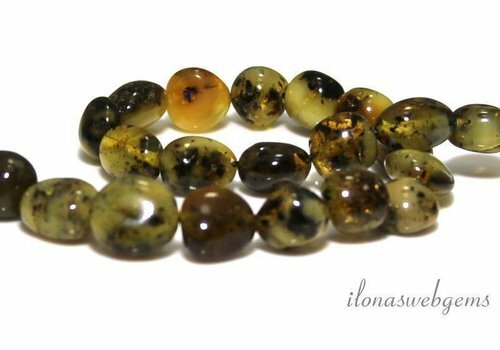 Yes, then tomorrow you can make your own jewel with this beautiful amber bead. 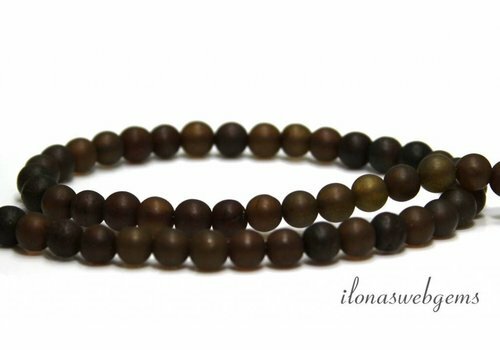 Of course your amber beads are in good hands with us. 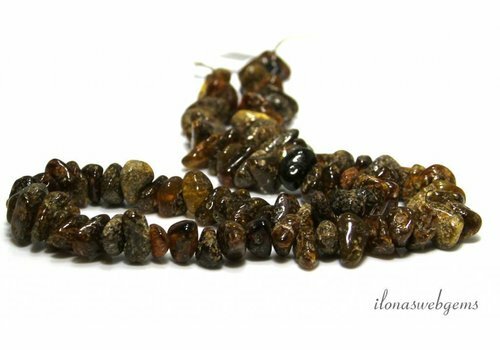 We make sure that these amber beads are carefully packed.